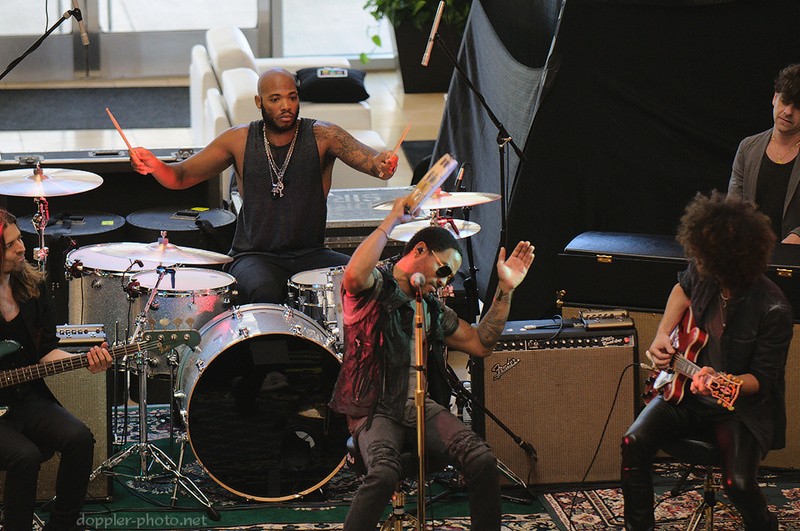 Two weeks ago, Lenny Kravitz stopped by YouTube HQ to play a set with his band and entertain a short interview. He and his band were in the area while supporting the Oakland, CA stop during the band U2's 360° tour. 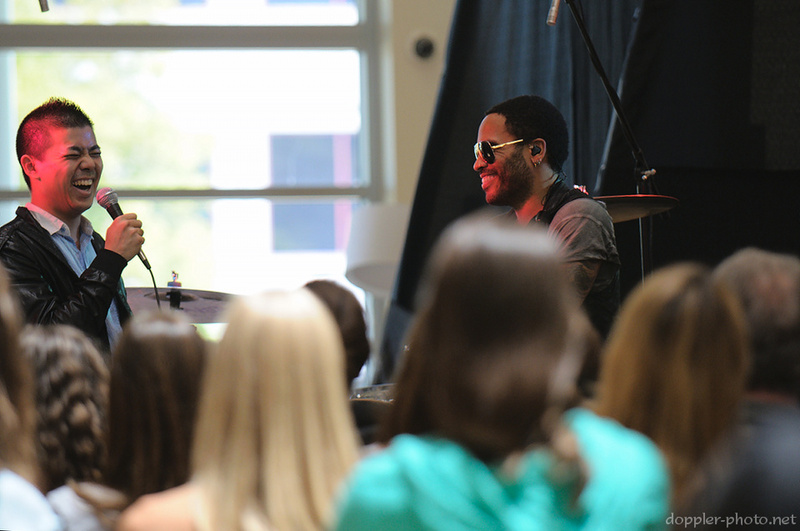 Kravitz has an upcoming album, "Black and White America," set to be released later this year. The YouTube office is an interesting venue, because there's tons of natural light on the stage, and also there are tons of places to sit and stand. Here, two people pull up a seat on a walkway behind the stage. There were cameras all over the place (including my own). Lenny did a great job of engaging the crowd during the performance. They switched up a few of the songs, so what we heard that day wasn't just a mixture of old classics with some new tracks, but rather each song was a unique performance in and of itself. The band really seemed to work well together. 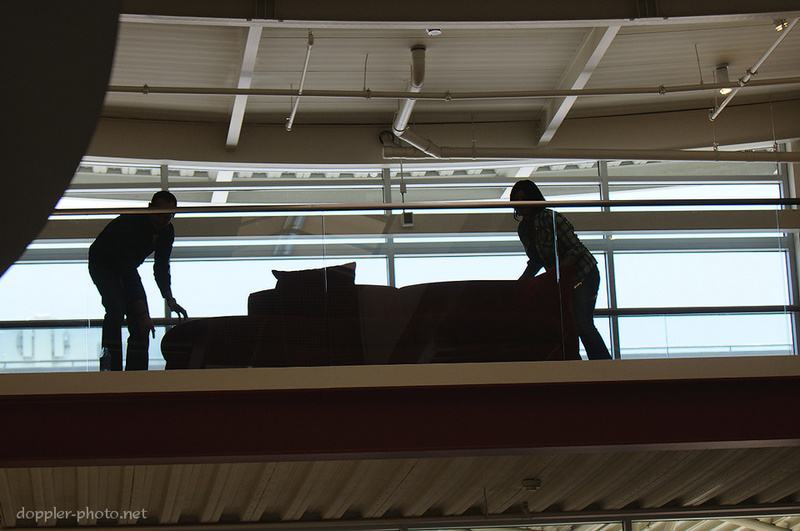 At times, they seemed to be jamming, but they always stayed in sync. 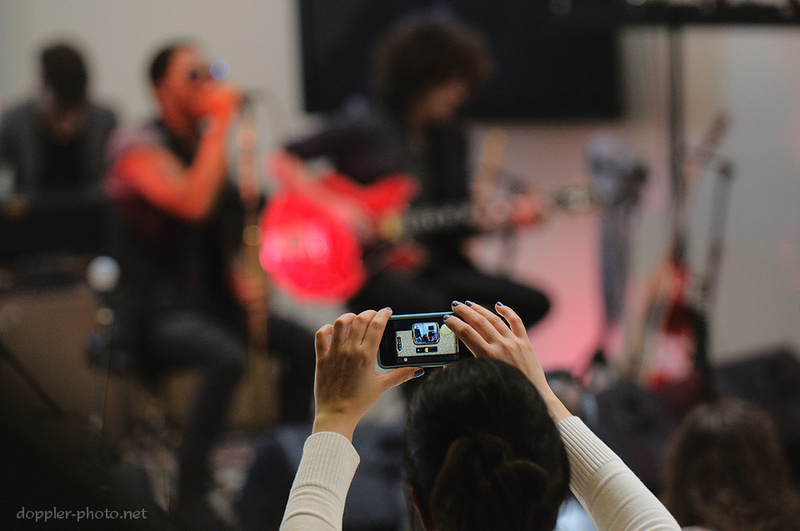 Here, all the band-members keep their eyes on Lenny while waiting for the end of a song. The interview covered the gamut from Lenny's former albums to fashion, his youth to his hair. Lenny's charm shone during the interview, such as at the point depicted above when he mentioned how interviewer Donovan's shoes went well with his jacket. During a question I found particularly interesting, Donovan asked for Lenny's thoughts on the advent of iTunes and similar technologies which enabled consumers to buy a single track from an album, rather than needing to purchase an album in its entirety. In his response, Lenny likened his albums to works of art. While a sculpture might have a particularly nice arm, he pointed out, the artist's intent is for viewers to see the work in its entirety. Likewise, Lenny responded that even though some people might buy individual tracks, he still designs each album to be enjoyed in its entirety, even down minutia like the lengths of gaps between successive tracks. 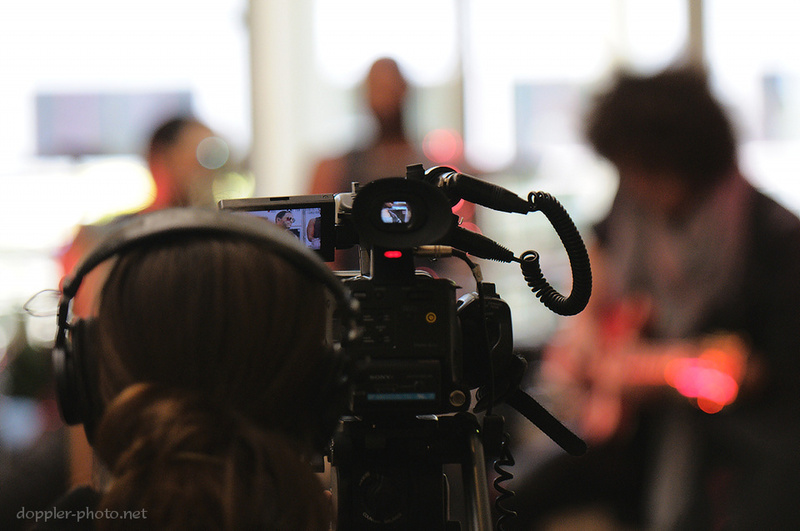 The musicians had lunch in the YouTube cafe after the performance, and it was interesting to see how their on-stage persona differed from or matched how they behaved without the spotlights. I was particularly struck by the drummer, pictured above. On-stage, he seemed to be enjoying himself, but in a restrained manner that still enabled him to concentrate. Once the interview was over, though, he started hamming it up with whoever was paying attention. He went out of his way to offer to take pictures with people, and subsequently started dancing with a woman who I believe was trying to shuffle him along so that band could get back on the road. You can find the rest of the images here. And finally, a note. If you know the names of the band-members, I would love to know. I was able to find that the guitarist with the big hair is Craig Ross, but the pianist, bassist, and drummer are still mysteries. Leave a comment if you know, thanks!